Since the arrival of Pafos (aka Paphos) on the international holiday scene Karlina's has been on Tomb of the Kings Road. We are directly opposite the World famous Heritage Site Tombs of the Kings on the road of the same name. When you approach our sign is almost a landmark, and approaching planes can see our roof lighted arrow that definitely is! Not only serving tourists but also favoured by Greek Cypriot and Ex-pats British locals as well. There is a wide menu of fresh cooked and local sourced local food, international dishes, and one of the best quality and value for money set menu's in pafos. Local and international beers and wines and liquers are on offer. There is even an area for the children to play away from most of the tables, with swings and electric rides. With a inside and large covered outside area the choice is there for you. Family run, with a great and by now very famous welcome from Luigi, to the professional management of Harry, Mama's traditional cooking and even Dad is about at weekends! to the professional and friendly staff, some who have been at Karlins's for many years. 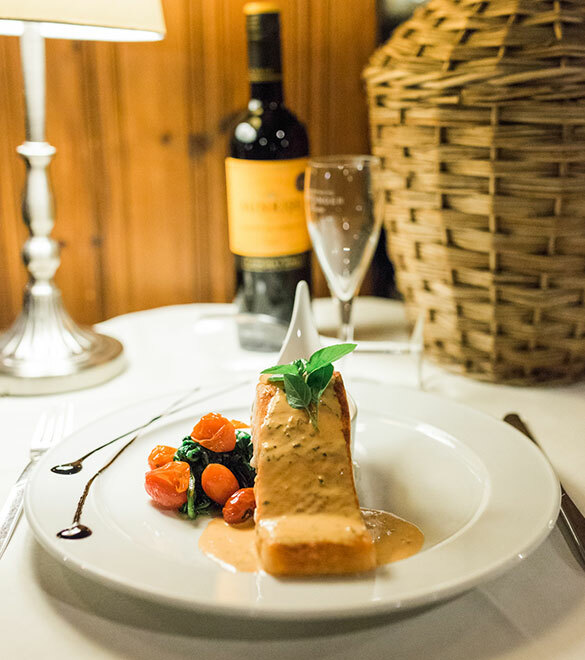 Whether you need to eat in a hurry, spend the evening or just have a drink, need to feed the family or have a nice romantic meal for 2 then Karlina's is the place to be. Open from the Morning for an all day breakfast right through to late at Night. We also now have FREE Wi-Fi for all customers and a laptop you can use. Brilliant, food and service every time. I have visited in a group and just had a meal by myself you are made to feel welcome every time. We always make a point of visiting Karlina's a few times on our visits to Paphos and are never disappointed. The food is always first class and the service is fantastic. The staff all have great personalities and help to make every visit memorable. We visited 3 times during our stay in Paphos and we very impressed. The food is delicious, the service is great and very kids friendly. The homemade apple cake was heavily. Thank you for making us very welcome and an amazing experience. Please keep up the good work. The food was well presented and tasted excellent , very attentive staff with the traditional extras ( free drink at the end of meal ) and fruit . A definite restaurant to visit.